There are few things worse in life than watching your kids struggle as adults. At some point, all of us will encounter situations where we are helpless when our kids are involved. We try all we can to teach them the right way to do things (according to our own experiences, of course), but there is a point in which stepping back is the best option despite how painful it may be. I’ve had to learn this the hard way; in the past, I was an enabler. I knew better. My parents let me fail many times. They never let me fall off the cliff though – they just let me get really close to the edge. I was also very young – in my late teens and early 20s. Today, the situation is very different. 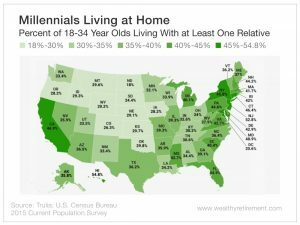 More than one-third of children are now living at home after college, and more than 32% of millennials are still living at home. There are a million reasons. Rent is too high, and jobs don’t pay as much. And many are shouldering student debt. What changed from when we were growing up? We had to repay debt, look for jobs and pay rent. But our priority (and I am generalizing here) was to blow out of Dodge at the first opportunity. It didn’t matter how crappy our car was if we could pay for gas and insurance. Independence was something to look forward to. It couldn’t get here fast enough! Today it’s different, and while we can blame kids for laziness, entitlement or failure to launch, it’s really the fault of their parents. We allowed the debt bonanza to take place by insisting they go to schools no one could afford. We bought them the latest iPhones when they were in high school. And we indulged their sense of what is normal by using home grocery delivery services when we could just as easily go to the store. We said that it was great for them to spend hours every day in a cocoon of texts, social media and video games. As a result, we have created a generation of humans who may well be the first that couldn’t survive one night in the wild without cellular service! Teach your kids about debt. Teach them how to balance a checkbook and not just look at their banking app to see whether they have any money left. Teach them how to budget and save instead of accepting recurring “small” monthly charges for things like Netflix as the norm. Teach them that there is a price for convenience: getting less value for your money. Your kids are not CEOs of major companies who don’t have time… that is pretty much all they do have! These are things you CAN teach them at home. They will not learn this in school or from their friends in their group chats. Some of you may be laughing at this diatribe; others are probably shaking your heads. There are no easy answers, but the first place to start with financial literacy is at home when your children are young. This trend toward tech-enabled, entitled sloth must be reversed. Those of you who are not dealing with this should count yourselves lucky. For others, this is a major epidemic. The result of not dealing with this problem will be a much worse retirement for you. P.S. If you are a parent or grandparent, how do you balance the drive to nurture with encouraging independence? 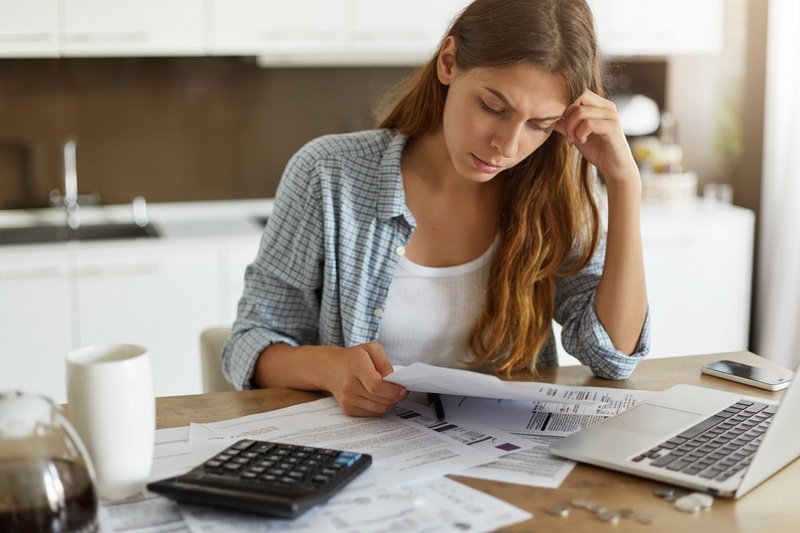 If you are a young adult, what strategies do you use to handle your expenses, overcome budget obstacles and plan financially for the future? We want to hear about your experience! Please let us know in the comments.